Determining the appropriate amount of compensation to pay an executive is one of the most important decisions a board is asked to make. Board members must balance budgetary concerns with the need to find a qualified candidate. Traditionally, it was not uncommon for nonprofits to expect executives to work for significantly less than they might earn elsewhere because of their passion for the organization’s mission. However, that’s a poor business strategy to rely on for recruiting or retaining the right person for the most pivotal position to the organization’s success. While, ideally, nonprofit executives should be sufficiently compensated for their valuable work, many nonprofits still tend to be very conservative with paying reasonable compensation to their executives. This may be due in part to limited funds. But for some organizations, lower compensation rates may also be linked to board members’ concerns about staying compliant with tax and charitable trust laws that can impose penalties for approving excessive compensation. In extreme cases, excessive compensation can be held to be a form of private inurement, which can result in revocation of the organization’s tax-exempt status. In other cases, it can be a form of private benefit or excess benefit transaction, which may result in the required return of the excessive amount and penalty taxes imposed on the executive as well as the board members who approved the transaction knowing the compensation to be excessive. Moreover, if the organization is a private foundation, it can be an act of self-dealing, which can also subject the organization to penalty taxes. involved in any financial transaction with the nonprofit that has been, or will be, subject to the executive’s approval. If the independent body is a board committee, such committee should be delegated with appropriate authority by the board and operate in accordance with the corporation’s bylaws. The California Nonprofit Integrity Act requires that the board or an authorized board committee review and approve the compensation arrangement (1) initially upon the hiring of the position; (2) whenever the term of employment, if any, of the officer is renewed or extended; and (3) whenever the officer’s compensation is modified (unless the same modification applies to substantially all employees as may be the case with a cost-of-living increase). California nonprofits should be careful to approve the executive’s compensation as required, including generally whenever a bonus may be awarded. actual written offers from similar institutions competing for the services of the executive. Organizations should make sure that the data they rely on is detailed enough to be an adequate comparison. For example, a national survey of compensation for university presidents that does not delineate criteria such as the number of students served, academic ranking, geographic location, or annual revenues, would not be sufficient data as to the comparability of what a local university should pay its president. However, specific information obtained from a customized compensation survey commissioned from an independent firm, or even a written summary of a telephone survey of three or more unrelated local universities of similar size and ranking, are both appropriate examples of data to rely on as to comparability. any actions taken by a regular member of the independent committee who had a conflict of interest with respect to the transaction (e.g., abstention). The documentation should also be timely and accurate. For a decision to be documented properly, records must be prepared before the board or committee’s next meeting or 60 days after the board or committee’s final actions are taken, whichever is later. Records must be reviewed and approved by the independent body as reasonable, accurate, and complete within a reasonable time period. Additionally, nonprofits filing IRS Form 990 must be able to describe the process they use to approve executive compensation arrangements. Generally, if the IRS penalizes a disqualified person (DQP) under the excess benefit transaction rules, such individual bears the burden to prove that the compensation arrangement was reasonable. A DQP may be a director, officer, substantial contributor, family members, or a 35% controlled entity. However, if the organization follows the Rebuttable Presumption of Reasonableness procedures described below with respect to the compensation package, the burden of proof shifts to the IRS to show that the compensation arrangement was excessive. Using the rebuttable presumption of reasonableness procedures to approve compensation arrangements can help a nonprofit ensure that it is paying appropriate compensation to its key employees and mitigate the risks of an IRS charge of excessive compensation and the associated penalty taxes. The authorized body adequately documented the basis for its determination concurrently with making that determination (Treas. Reg. 53.4958-6(a)(3)). 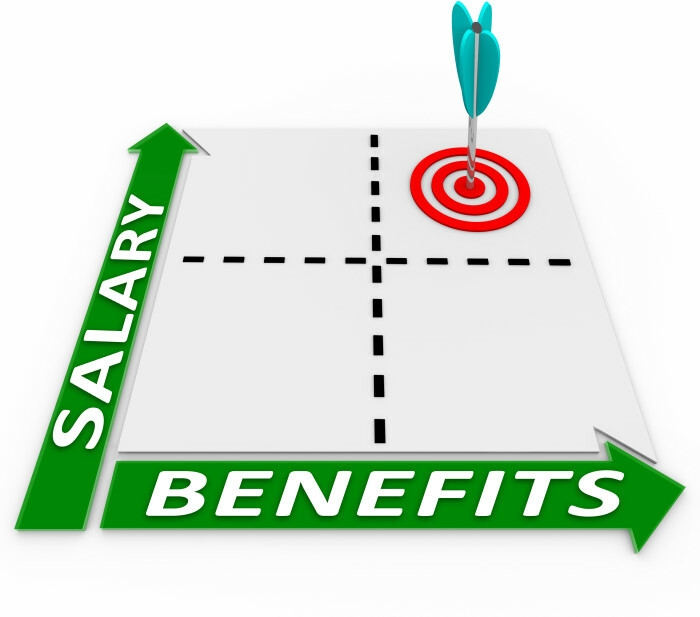 Adopting and following the procedures of a conflict of interest policy can also help eliminate improper private benefits (e.g., excessive compensation) flowing to interested individuals before they occur. A good policy can help ensure that when actual or potential conflicts of interest arise, the organization has a procedure in place under which the interested individual can advise the board about all the relevant facts concerning the conflict, and the board can appropriately act and determine whether it is necessary to excuse such interested individual from voting. A good policy will also describe the process of recording such discussions in the board or committee minutes so that there is accurate documentation of the proceedings. Note that the IRS Form 990 asks whether the organization has a conflict of interest policy, and also about the procedures used by the organization to handle conflicts. Overall, nonprofit organizations should not be deterred from considering paying their highly skilled and highly valued executives on the higher end of the salary range for similar positions in similar organizations. However, an organization should be able to justify that the compensation is fair and reasonable under the circumstances, and that the organization adequately documented the approval of such compensation package.